So many books are now out of print. Titles that were the best sellers a few years ago are now out of print. 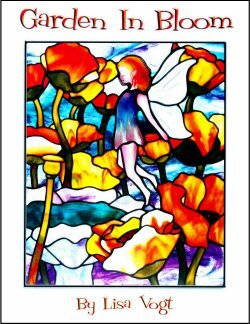 CKE and Stained Glass Images are out of business and many other publishers are no longer reprinting titles when they sell out. We have a special selection of holiday themed titles on sale. CLICK HERE to see our selection. Don't wait - once they're gone, they're gone! This listing includes our complete selection of books and videos and patterns on CD. Many of our favorite titles are no longer available, so don't hesitate! Publishing for the Art Glass world has now entered the 21st Century. 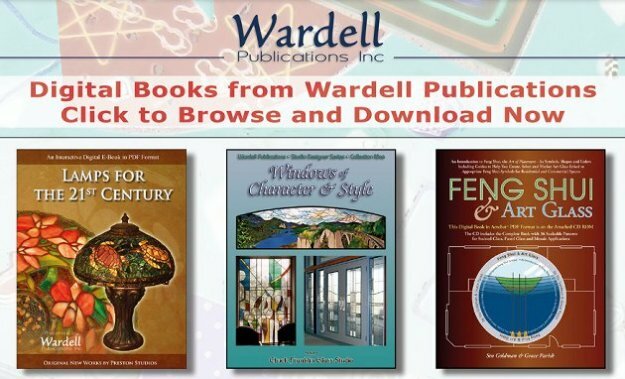 Our friends at Wardell Publications have brought three publications to the e-book realm. Read these books on tablets OR your PC. Works on Windows and Mac's. Click on the image above to see details and 10 page previews of the three publications shown. Browsing the previews is free, and if you like what you see, you can order and download the full copy. We've brought together the best books on making stained glass. 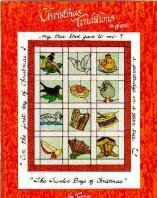 This page features 10 effective books for teaching yourself stained glass. 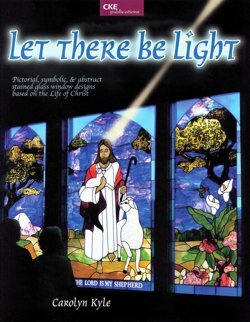 Featured are our best selling titles as well as BASIC STAINED GLASS MAKING (as shown at left) which is crammed with over 700 full color illustrations. If you're looking for floral and garden themed books, this is the page for you! Our BEST SELLER list includes classics from Gil Reynolds and Dan Fenton along with the newest titles from Stained Glass Images, CKE Publications and others. Check this page often, as we will be adding books as the are published by all of your favorite authors. Everyone's doing Mosaics. See how easy it is to do it yourself. About 12 years ago, pattern books averaged around $10 and you got a really good batch of patterns for your $10. Now with special cooperation from Stained Glass Images, we are able to offer many titles for just $8.95 - everything from florals to stepping stones. Stained Glass has always been tied to religious applications. Here are the best books on the subject. Imaginative designs with bevels. This is Glassmith Studios' trademark! Choose from seven books and pattern portfolios. A pleasant selection of books and pattern portfolios.